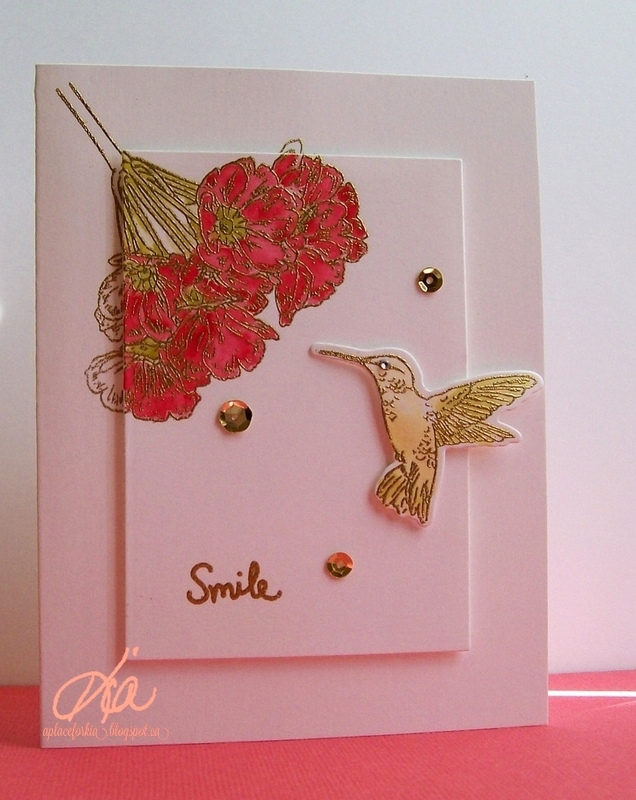 I did this card for a challenge on Sunday where we pick a card by the Featured Stamper and CASE it. (copy and share everything.) To say we copy the card is not exactly correct, but we do take the elements of the card we love and we change the colours, and the subject matter etc. The point of the challenge is honour the stamper for the week. The card I picked to CASE is here. 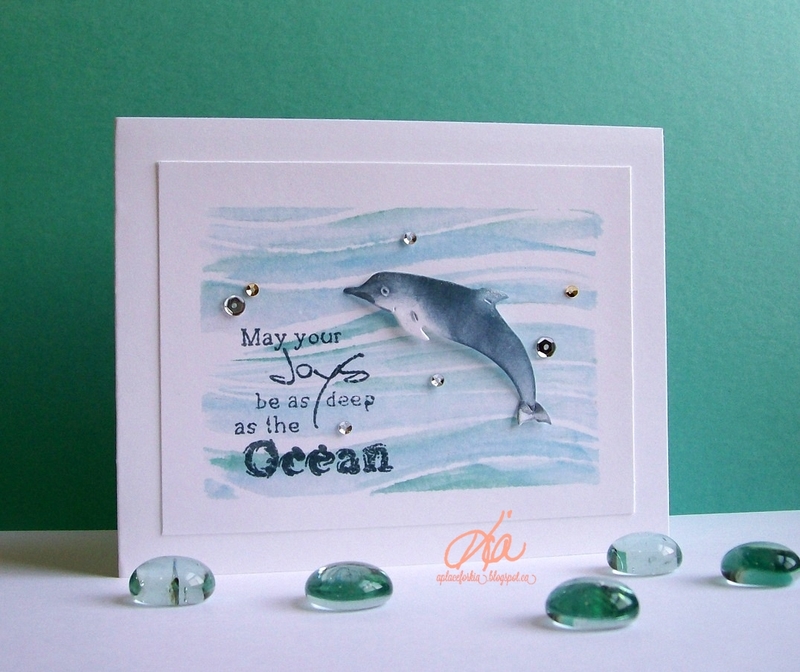 I changed the colours, made an ocean and added a dolphin, to honour Kendra, who is also on the Frantic Stamper Design Team that I am on. On to my card details, I used my aqua brush and 3 different shades of Tim Holtz Distress Inks to do my water. I used the deeper colour to sponge my dolphin, styled him and propped him up on foam dots so it looks like he is coming out of the water. To finish a few sequins and some Wink of Stella on the top of the waves and on top of the dolphin, which is hard to see in the picture. I wish you could see it, is is beautiful IRL. 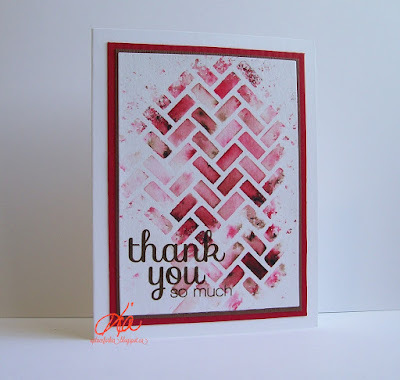 A fun card to make, thanks for having a peek today. 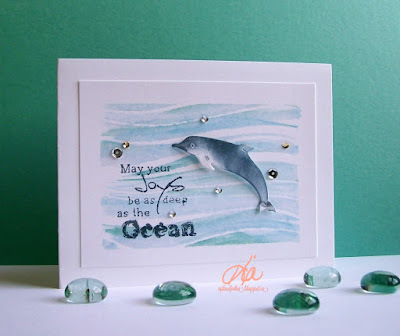 Products: Memory Box Textured Wave Stencil, Frantic Stamper Bluenose Dolphin, Joy Crafts Seashore Stamp Set, Tim Holtz Distress Inks, Wink of Stella, Sequins, Foam Dots, Neenah 120lb paper. Another card I did for my Clean and Simple Challenge at Splitcoaststampers last Monday. 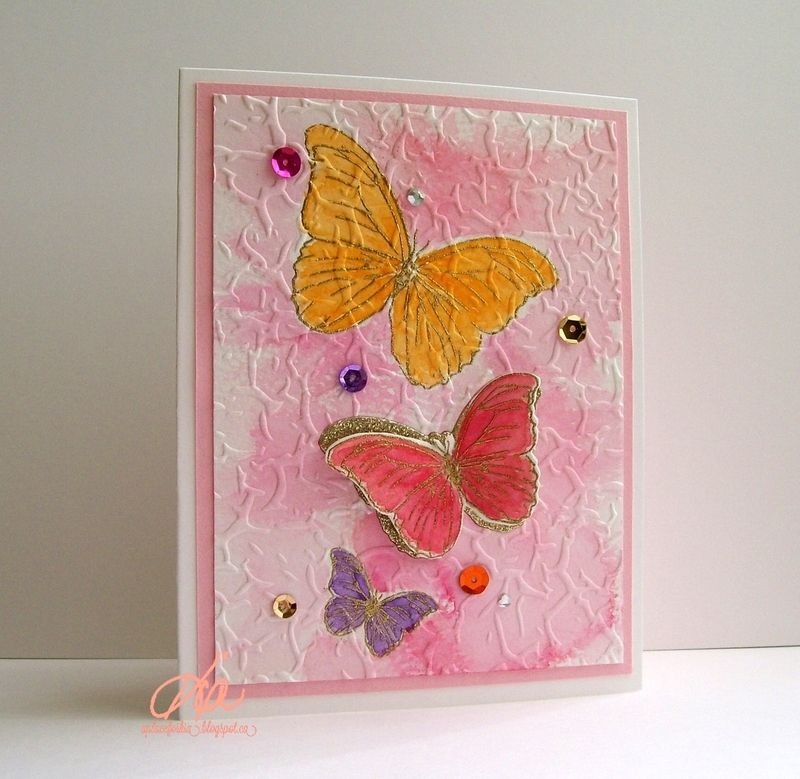 I embossed my butterflies using gold embossing powder and painted using Winsor Newton watercolour paints. I stamped the middle butterly and die cut before painting, then styled it before attaching. 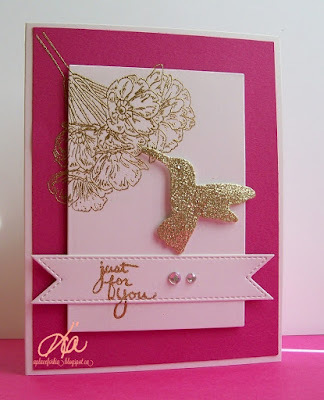 Under the butterfly I layered with gold glitter paper. I did a watercolour wash for my butterfly background in light pink tones, and embossed with Darice Crackle embossing folder, then matted with a pale pink. A few sequins and some crystals finished this card, which I really like. I had a doctors appointment yesterday so I took it for the nurse to send to someone. She is always so thrilled to get my cards and I love it when I give a smile. Products: Stampendous PenPattern Butterflies Stamp Set, Stampendous Butterfly Die Set, Winsor Newton Watercolours, Gold Glitter Paper, Paper Garden Cardstock, Neenah, Sequins, Crystals. 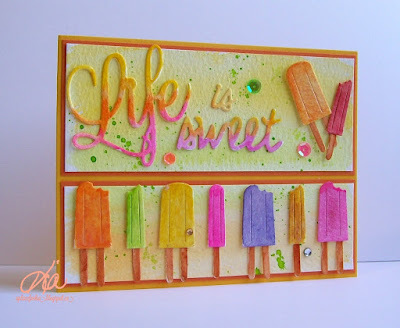 I am hosting the Clean and Simple Challenge at Splitcoaststampers today and I made this card along with a couple more for the challenge. I think I got a bit carried away, but it was fun. And I made them to participate in the CAS Mix Up Card Challenge as well. The idea for this card came from Loll Thompson and her card Fun With Markers. Like Loll, I too had a oops! My sentiment did not work out the first time round, hence the banner. Thank goodness for second tries. 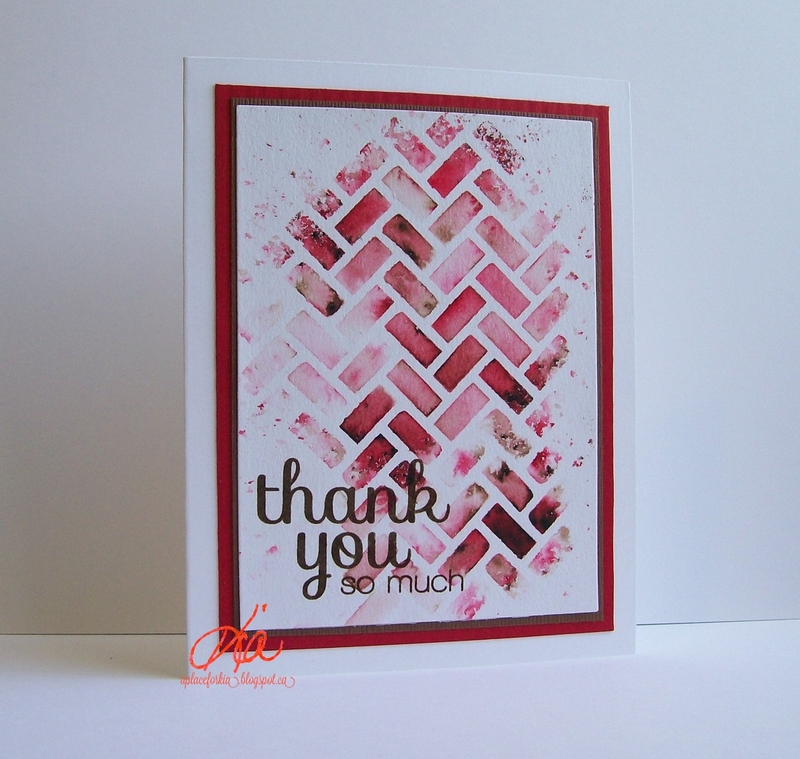 I heat embossed the image on both the card base and the top layer, then added the layer to the card with foam strips. 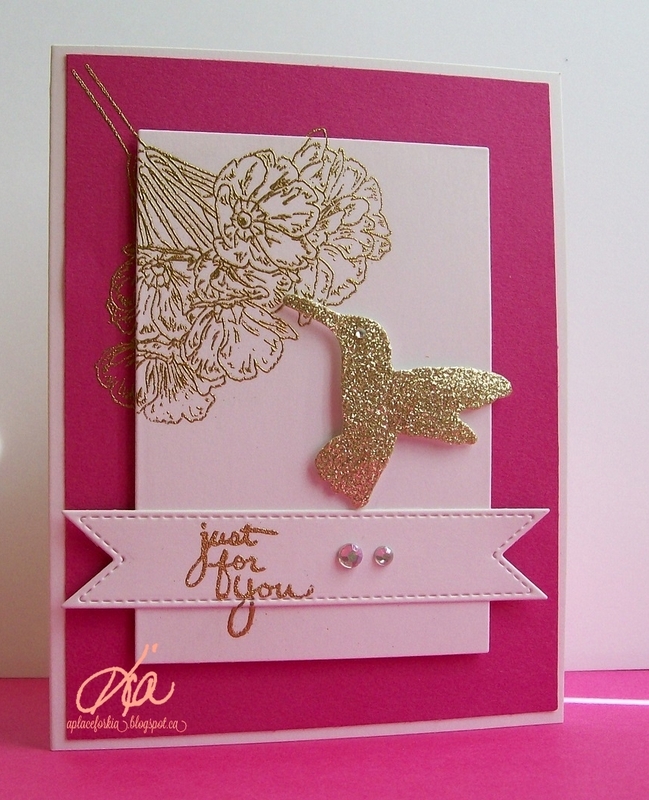 I die cut the bird in gold glitter paper, styled and attached on a foam dot. A few crystals finished my card. Products: WPlus9 Flora and Fauna Stamp and Die Set, Stampendous Sunny Flower Set, Frantic Stamper Double Stitched Fishtail Banner, Neenah, Paper Garden, Gold Embossing Powder, Foam Strips, Crystals. 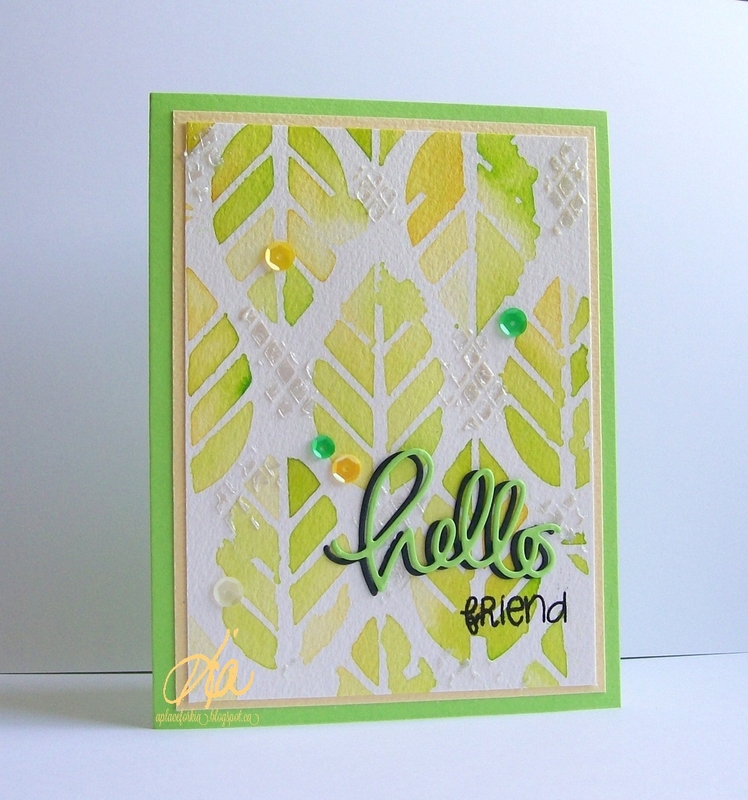 The colour challenge at Splitcoaststampers on Tuesday were all colours I love, so I just had to play. The title, Tango with Delight in Bermuda says it all. My designer paper has all of the colours plus a few more, but part of the challenge covered dessert, which was to add 5 layers, so I added the colours again in my layers. There is the Daffodil Delight under the image, and as the photo card is on foam dots, you can see it IRL, but it is a little difficult in the picture. My sentiment is shadowed with the Tango and matting with the Bermuda. I also coloured my little image with the colours, so I think I have it covered. The image is from Penny Black and I don't ever remember having inked it before, yet I have had it going back to 2008/09. I coloured using my Prismacolor Pencils and Gamsol, something else I have not used in a long time. I readily admit, it was very nice to sit down and colour on my lap and taking my time. I hope you enjoy this as much as I enjoyed making it. Thanks for having a look today. Products: Penny Black Hugs, Penny Black Bookmark Flourish, Frantic Stamper Camera Photo Card, Simon Says Stamp Hugs Sentiment, Prismacolor Pencils/Gamsol, MFT DSP, Bazzill, Neenah, Foam Strips. A card I made for the latest Frantic Stamper release. 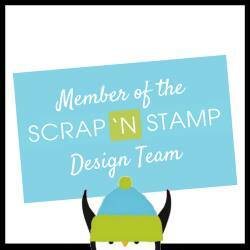 Credit is given to Fran of Frantic Stamper who designed this layout, which I think is so sweet! 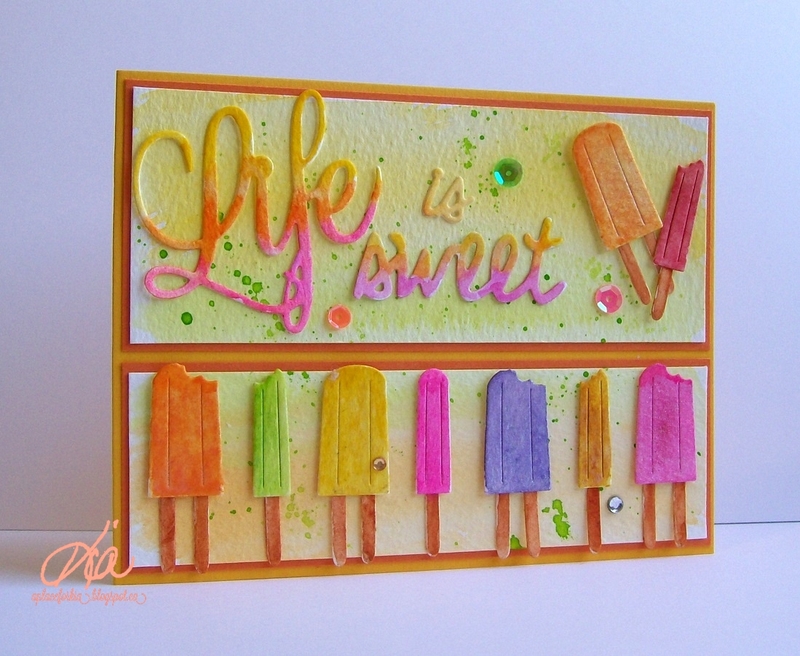 I watercoloured the pieces for this card and added shimmer to the popsicles, which are attached on foam dots. The background has a light wash with some splats added with my paint brushes, and of course a card is never quite finished without some glam, so sequins and gems complete my card. 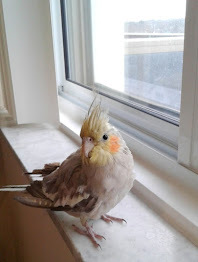 Introducing Yay! My card for the Clean and Simple challenge at Splitcoast today. The challenge is to use dots and stripes. As that could get busy for a CAS card, I let my paper do most of the work with the dots and added the stripes with my fence. 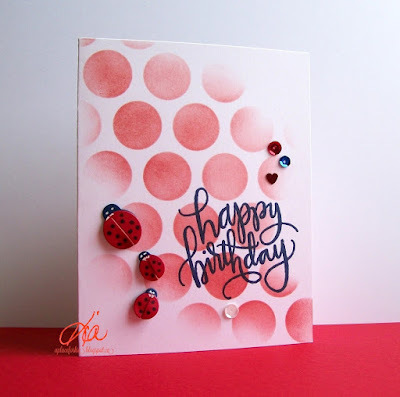 And, as I always need birthday cards, I used a sentiment from Simon Says Stamp Hello Beautiful. I embossed the "Yay!" with silver embossing powder and stamped the rest using Tim Holtz Distress Inks Chipped Sapphire. I coloured my balloon with Martha Stewart Glitter Markers and my fence with Spectrum Noir Markers. And of course my trademark sequins. This was such a fun card to make, thanks for having a peek. 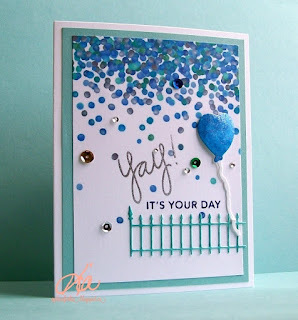 Products: Confetti DP, Simon Says Stamp Hello Beautiful, Memory Box Wrought Iron Fence, Impression Obsession Heart Balloon, Silvery Embossing Powder, Simon Says Stamp Sequins, Martha Stewart Glitter Markers. I do remember a pair of sunglasses like the pink ones, and at the time, I thought I was "super cool". They are still fun today, in my humble opinion. 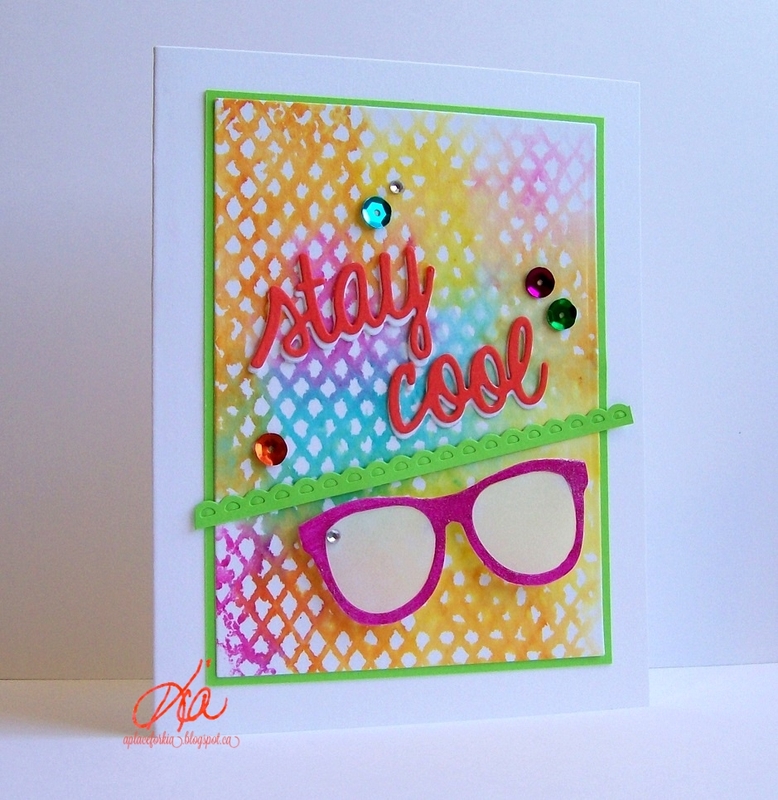 These are from the latest release called Retro Cool at Frantic Stamper. 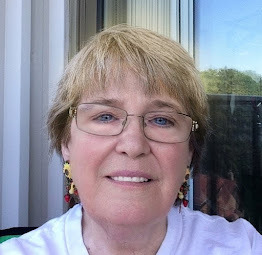 I did 3 of the 4 pairs of glasses that come in the set and coloured with Spectrum Noir Markers, and as I did in my Sun Style card I embossed the lense with clear embossing powder, but this time I added crystals. I used my sun embossing folder for my background and added the Super and Cool sentiments along with sequins galore for a fun sparkly card. Thanks for having a look today. 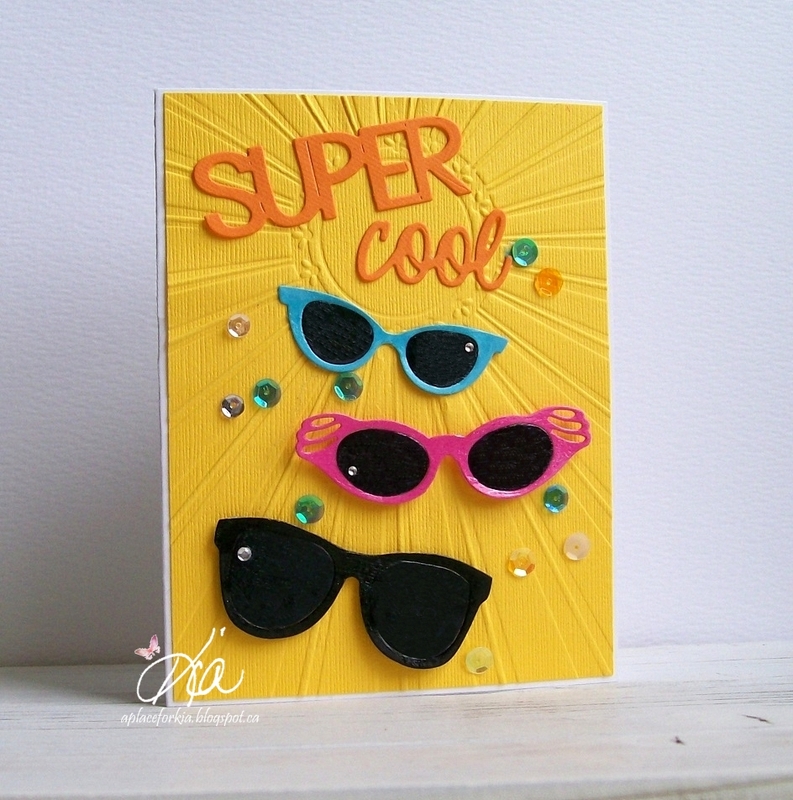 Products: Frantic Stamper Retro Glasses, Stay Cool Die, Super Hero Die; Ecstasy Crafts Dazzling Sunburst Embossing Folder; Sequins and Crystals.